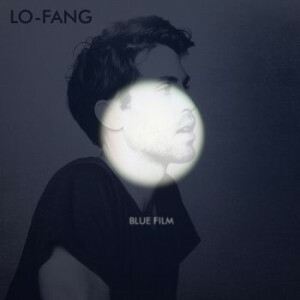 Matthew Hemerlein, the mastermind behind Lo-Fang, began working on debut album Blue Film nearly three years ago while traveling the world and collaborating with various musicians along the way. Hemerlein is himself a classically trained musician and string arrangements and piano that you hear on the album are mostly, if not entirely, all him. You can hear the influence of Hemerlein’s travels on single “Look Away” through the cello and violin melodies and paired with a danceable beat, Lo-Fang’s sound feels fresh and effortless. Much of Blue Film is rather downtempo and ambient despite the lead track’s head bobbing beats. What is consistent throughout are Hemerlein’s breathy vocals that add a layer of overt sensuality though his lyrics may be all about the monotony of being stuck (“#88”). Through the lens of Blue Film, even monotony is sensual and the bright-eyed musical number from Grease becomes something entirely different in the Lo-Fang rendition (“You’re The One That I Want”). Blue Film is cloaked in a quiet mystique that seems standoffish at first, but then as it unfolds, it draws your ear close enough to divulge all its secrets. Watch for Lo-Fang on tour with Lorde the entire month of March.